This 2017 film doesn’t actually do anything especially new when it comes to films about exceptional undercover agents with a chip on their shoulder that makes them take untenable risks. 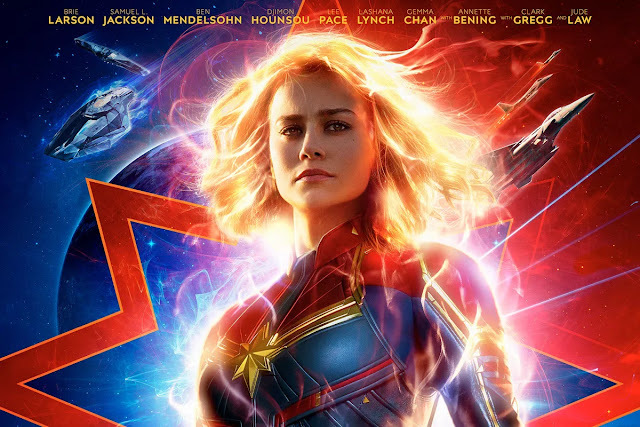 The genre presents people who are a breath away from being superheroes except it’s all down to training and bravery rather than strange powers. So Mitch Rapp is the `hero` of what I discovered is a 16 book and counting series of novels created and originally written by Vince Flynn in a somewhat random order. 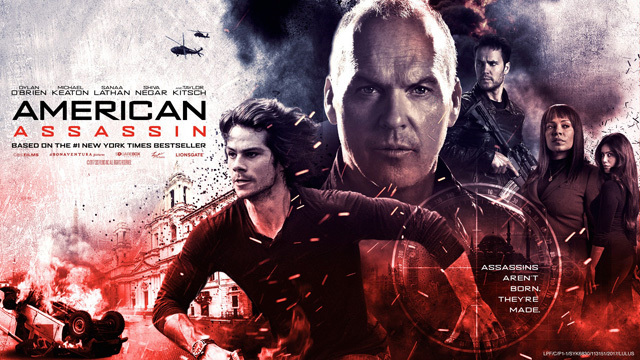 American Assassin is actually the origin novel but was written and published following ten other books set afterwards! 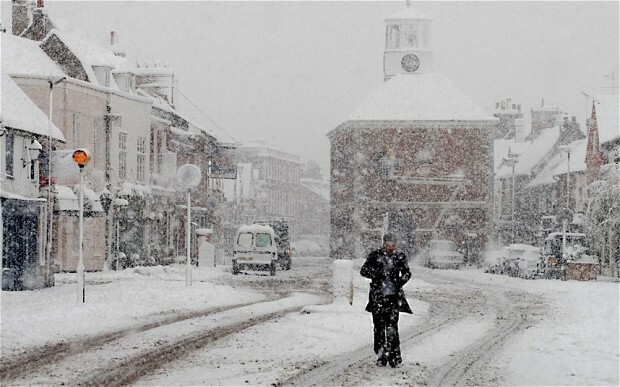 So Britain is about to be hit by the so called “beast from the east”, a chunk of Siberian weather that will bring freezing temperatures, snow and ice. At the end of February! Who would have imagined it? Actually anyone would; it’s still winter and it was more unusual last year when we had very little wintery weather. Yet the imminent arrival of any weather other than calm, mild and settled seems to set off panic alarms amongst people while the country’s media fall over themselves to declare it as if they’re talking about the end of the world. Whether the weather is an “Artic blast” or a “tropical heatwave” one thing we can definitely be assured of is that it’s a “crisis” and – oh yes – there will be “chaos”. An Arctic Blast. This bloke should be wearing a hat. Reviewed by Chris Arnsby. Peter Powell: "Hi folks! Welcome to Top of the Pops! Gary just give me two names of any bands that are on the show tonight." Gary Davies: [talking over Peter Powell, in a very unprofessional way] We've got Madness, Fun Boy Three..."
Peter Powell: " And Tears For Fears! And Haysi Fantayzee! Gary Davies: "And we're going to get underway with Wham! 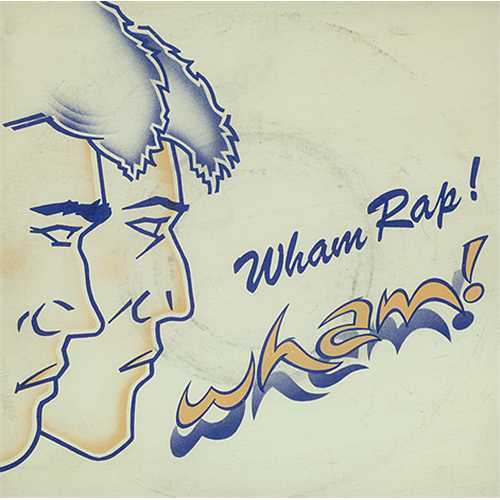 and Wham Rap!" Peter Powell: "Yes!" Wham! 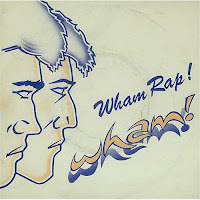 : Wham Rap! Peter Powell and Gary Davies dash off through the recently revealed secret DJ exit from the Top of the Pops set. Peter Powell, being the old hand, knows how to do this off camera. Gary Davies isn't quick enough. His exit can be witnessed at the back of shot. It looks like he's moving a little too fast for the shiny studio floor. He stumbles a bit. This is a breakthrough performance for Wham! Andrew Ridgeley finally gets a close-up (about two minutes into the performance). Proof positive that Top of the Pops now considers him half as important to the band as backing singers Dee C. Lee and Shirlie Holliman (keep up, Pepsi won't replace Dee C. Lee until sometime after Club Tropicana); who get two close-ups. For those keeping score Andrew Ridgeley's got some way to go before he's considered as important as the Greek chorus who get to say lines like "D.H.S.S." and "yeah." They get a mighty seven close-ups. A feature in the Smash Hits Personal File must follow soon. The cultural significance of this film could not be more pronounced as it serendipitously arrives while Hollywood is in the throes of a seismic upheaval. Behind the scenes behaviour – which the public knew little of – has now been publicly exposed amidst a welter of accusations. Whether all of them are true – or eventually upheld in the legal system- the fuse has been lit and there is no going back to those old ways. While it has been allegations of a sexual nature that have been at the core of recent events, the issue of representation has long been overdue a similar scrutiny. It has often been referred to as representation of `minorities` but if you add up these so called `minorities` they outnumber the apparent majority considerably. Given this backdrop it seems a bit unfair to put so much expectation on a movie that is, after all, a fantasy adventure and also an ongoing chapter in a mega saga. 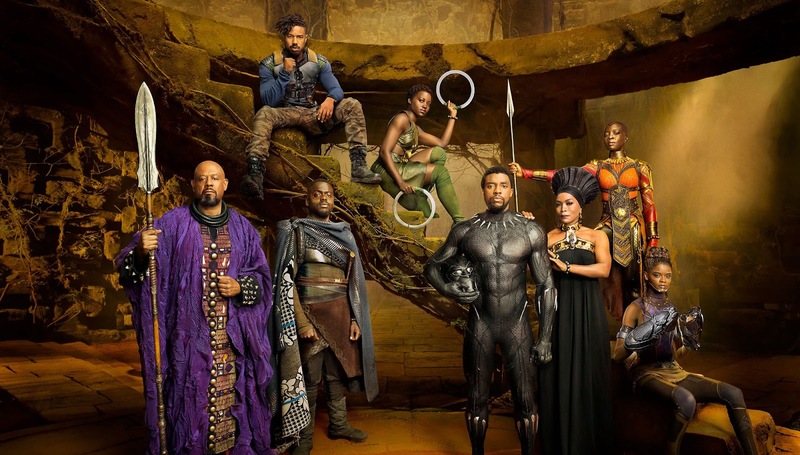 There is a risk either that Black Panther will be lauded well above its actual quality or assessed too harshly for evidence of a narrative it was never going to have. Plus every Marvel film usually turns out to be either good or excellent. So, no pressure reviewing this one then! Season15@40. 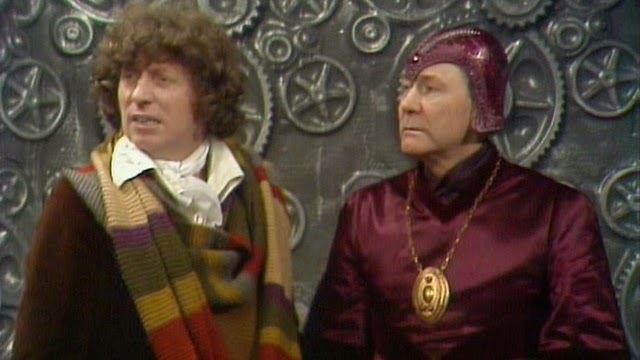 Up until the startlingly realised revelation near the end of `Utopia`, the most thrilling `live` moment of Doctor Who I can remember is when at the end of part 4 of `Invasion of Time` the Sontarans suddenly turn up. Just like that 2007 reveal I had absolutely no idea it was going to happen and even though I’ve seen it many times since it is still quite a moment. Then again this is anything but a conventional story, even for this season. It takes risks, plays with the expected format and while far from perfect and rather too long, I prefer it to something more ordinary. Essentially the story was penned by Anthony Read, with Graham Williams acting as script editor and the results are Holmesian if not Robert Holmes himself. The dialogue is often oblique with an intellectual polish that sometimes sits uneasily with the lumbering monsters and spangly effects. On first showing these conversations seemed difficult to grasp but on repeated viewings you appreciate the script’s clever, unusual approach. The script also scores with Kelner whose convenient acquiescing to every authority figure he’s faced with is fun to watch. Reviewed by Chris Arnsby. Janice Long: "Hello, good evening, and welcome to Top of the Pops. We're going to have a great time tonight. Aren't we Pat." Pat Sharp: "We certainly are Janice and, kicking us off at number 3, here's The Belle Stars and the Sign Of The Times." 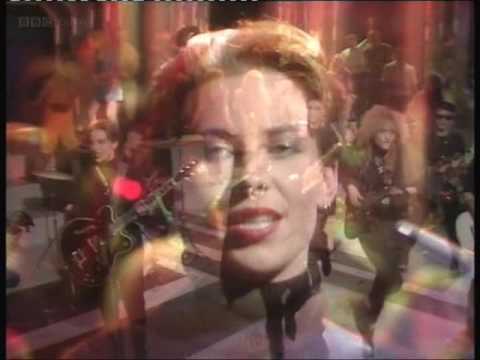 The Belle Stars: Sign Of The Times. Pat Sharp gives Sign Of The Times a definitive article and an extra chart position. Still, it's a great song so I don't care. Thanks to The Belle Stars appearance in last week's Top 10 Video Show this is probably the first non-number one song to be played three weeks in a row on Top of the Pops. The opening shot of the performance is striking because someone -presumably Designer Graham Lough- has rigged the projection screen at the back of the set to display a coloured Moiré pattern (you might remember seeing one in Star Trek as part of Doctor Spock's science station). The entire picture is just a big close-up of Stella Barker and a shifting coloured background. It looks great but it's a surprisingly low technology effect. 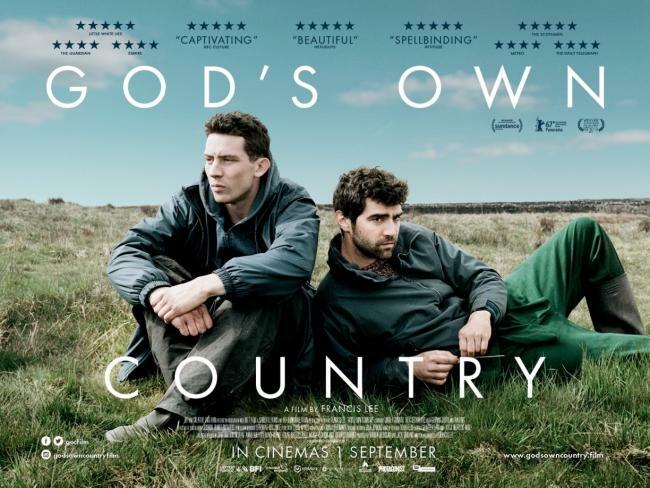 Francis Lee’s deservedly awards laden debut film released last year is earthy in every respect yet more honest than many a bigger movie that might tell a similar story. There’s plenty of material here for sentiment or melodrama but Lee- who both writes and directs- never crosses that line right to the end. I’ve often wondered if such a story would work as well without the music cutting in just so to carry you along and the answer, in this case at least, is that it does. There is some music but it appears sparingly and dialogue is never tumbling out of people’s mouths. In that respect it suits its Yorkshire setting to a tee. Yorkshire folk seem to call a spade a spade but mostly they don’t say anything. And some subtle direction and excellent camerawork together with fantastic acting means they don’t necessarily have to. 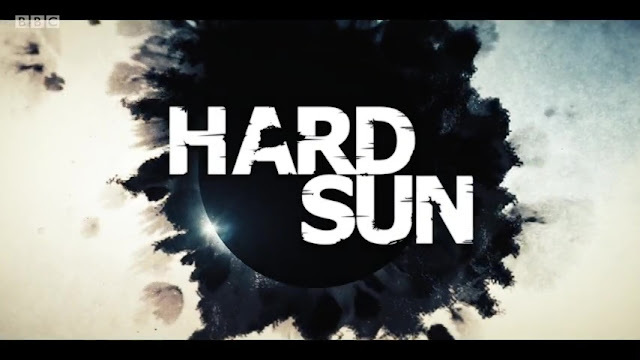 Whatever it’s outward appearance Hard Sun has been about how far people will go to protect their family and this blistering final episode certainly amps that aspect up. It delivers another tense episode which heightens the fantasy element always lurking in the background but never to the detriment of the human drama playing out. The kind of dramas were you are persuaded to root for characters who have done bad things- check that list of what both Hicks and Renko have done in this series- are the best because they challenge your own perceptions of morality too. The episode makes us want their plan to work even though in a way they are just playing dirtier. Reviewed by Chris Arnsby. David Jensen: "Evening and welcome once again to Top of the Pops." John Peel: "Hello admirers. We're the Torville and Dean of popular music. No actually he's Kid Jensen. He may not look like it but he's lots of fun." David Jensen: "Honest I am, but not half as much fun as Haysi Fantayzee who kick off with Shiny Shiny. Haysi Fantayzee: Shiny Shiny. John Peel and David Jensen might be overstating exactly how much fun they find Haysi Fantayzee. The host normally pretends to watch the act for at least 20 seconds before making an exit. John Peel and David Jensen dash off immediately. In fact they make a rookie mistake because they give away a previously secret DJ escape route. The pair turn stage right and nip off between two scenery arches instead of turning stage left, past the neon Top of the Pops logo, and walking down the edge of the stage like I expected. Singer Jeremy Healy performs an interesting conjuring trick with a guitar. He's suddenly holding a guitar, which he pretends to play with disdain, and casts it to the floor and it's gone in the long shots. It's probably handed to him, and subsequently picked up by the bloke who resembles Bob Geldof (from the back) who sticks his head right up into the middle of shot just before the first chorus.